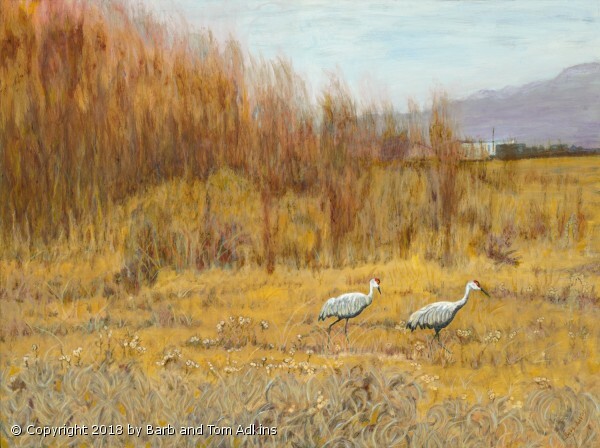 Sandhill Cranes walking in a field south of Monte Vista, CO. In the spring, these huge beautiful birds migrate by the 1000s each March and April from New Mexico to Monte Vista Wildlife Refuge and then farther north to Nebraska and continue North to nest for the summer. In the fall they return South on the same path to winter in New Mexico.